When your child enters toddlerhood, it’s very tempting to start comparing her development to other children’s. But this is such a rapid time of growth – you need to remember that it’s not a race. However, it’s good to know what to expect over the next couple of years, as your baby grows into a toddler and heads into the preschool years. Parents of toddlers know that these little beings certainly aren’t one-size-fits-all. They’re very much individuals, from their personalities to their development. There are some key milestones your toddler will reach as they grow, so here’s what to look out for. You may often wonder what on earth is going on in your toddler’s head, and the experts say – a lot! The emotions of a toddler can be a bit like four seasons in one day – kind of like a glimpse into the teenage years. They’ll be crying one minute, and in fits of laughter before the tears have even dried. You’ll also get to experience the joy of tantrums. These nuggets of craziness can be brought on over the simplest irritation, and are par for the course. They’re your toddler’s way of letting you know they’re feeling something rather big (frustration, anger guilt), but can’t verbalise it. 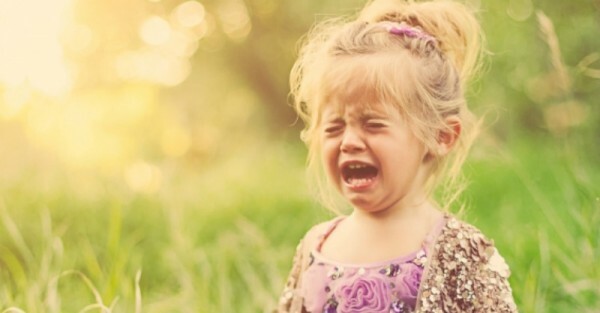 Tantrums can feel totally irrational, and you’ll have very little luck reasoning with a toddler in the middle of one. Best to make sure they are safe and not hurting themselves, and then wait for them to calm down. Sometimes a hug will help – sometimes they will just want to be left alone. At some stage during toddlerhood, your child will start to walk. It’s a big milestone, one that we eagerly await. As they fine-tune this skill, along will come running, jumping, hopping – all things that take time and practise. And while your toddler will think they’re rather clever on their feet, they will still be getting the hang of their new physicality, so be prepared for some bumps and bruises. At some stage your toddler will give up their daytime nap (yes, it’s sad, but inevitable!). As long as your little one is getting a good night’s sleep, this is perfectly normal. You’ll know it’s time to let the daytime nap go when a good day nap starts to mean a very delayed bedtime (think 10pm!). This will be one of the most fascinating parts of your toddler’s development, as they finally begin to communicate with you in words that anyone can understand. But don’t expect too much too soon. At about age two, your toddler may be able to formulate a short, two to three word sentence like “I go here”. This will increase to sentences of about three to five words over the following year. The best thing you can do to foster this skill is to simply converse with your child. Ask questions, tell stories and help build their vocabulary. You’ll also realise that they are beginning to understand more of what you say. Certain key words they hear often, like ‘nap’ or ‘dinner’ may trigger responses, like fetching their favourite blankie or standing near their high chair. Encourage your toddler to do things for themselves whenever it’s safe and logical to do so. While it may seem easier to do it yourself, they’ll learn so much from doing even the simplest of tasks independently. 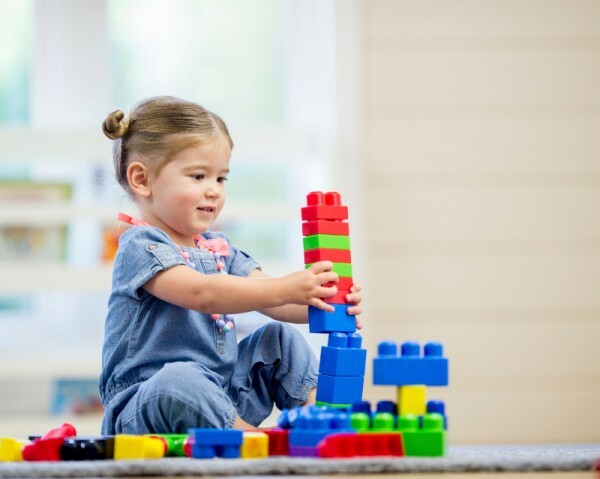 Learning through play is a huge developmental milestone for toddlers. Things like sharing and taking turns are all part of developing social skills through the simple act of playing. At about 24-36 months, toddlers tend to have a particular set of friends they like to play with. You’ll also find they begin to enjoy role playing, or pretend play – like mimicking you on the phone. Your toddler may also show an interest in drawing (particularly on walls). Make time for art and craft, to help your toddler hone her fine motor skills. While the drawings will look like scribble, they are actually a big stepping stone. You’ll begin to notice that eventually, your toddler’s attention span will increase – but don’t expect too much. At about two years they may begin to persist with tasks that wouldn’t previously have engaged them for very long. Toddlerhood is a fascinating time in your child’s life – packed full of huge developmental leaps. However, do remember that each child is different, and develops at their own rate. If you’re concerned about any behaviours your child is displaying (or not displaying), talk to your health care provider.